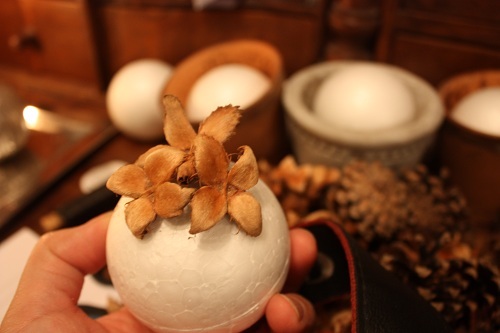 Cute little decorations made out of beech nut pods, I went on a little errand to my mother in law and raided her of stash of beech nut pods and pine cones. 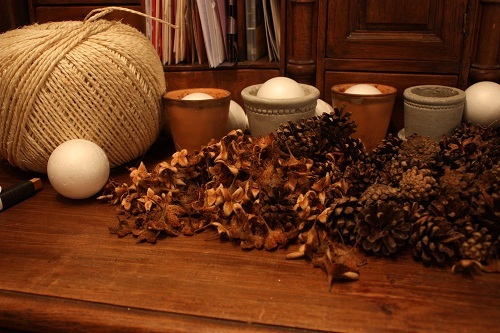 The keyword for this Christmas is natural. 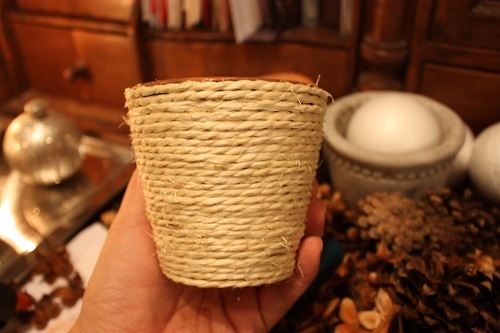 I glued the beech nut pods on the styrofoam balls with the glue gun and tied some sisal twine around a small pot. 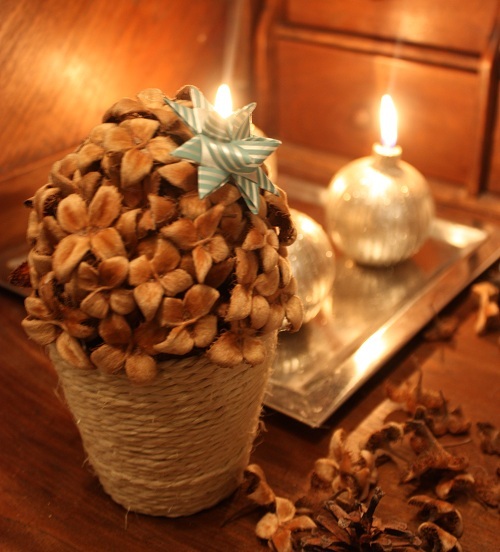 Then put the two parts together and decorated with a little christmas decoration. 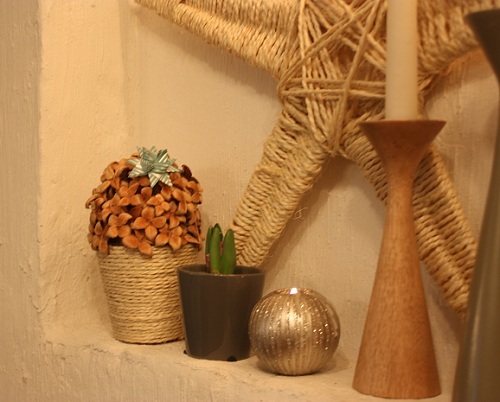 Hanna made a sisal star while I was making my little hydrangea look a like and they are now nicely placed together.